A Russian law court has ordered that access to the Telegram encrypted messaging service should be blocked, according to Russian news agencies on Friday (via Reuters). The development follows last week's news that Russia's media regulator had filed legal proceedings to block the app in the country because the company refused to enable state security services to access users' messages. The Telegram platform allows people to communicate with each other using end-to-end encryption, meaning no-one – not even Telegram – has access to messages sent between users. The app has over 200 million users globally. They include Kremlin staff, who use Telegram to coordinate conference calls with Vladimir Putin's spokesman. Many government officials also use the messenger app to communicate with media, according to Reuters. 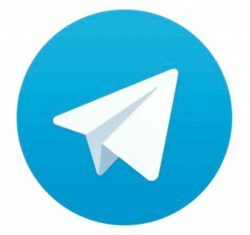 Telegram becomes the second global network after LinkedIn to be blocked in Russia. In 2016, a court found LinkedIn guilty of violating a law that requires companies holding Russian citizens' data to store it on servers within Russia. Update 04/17: The Russian government has formally requested that Apple remove Telegram from its regional App Store in the country, reports Reuters. Signal is a lot better anyway and has censorship circumvention. Telegram has great cloud-syncing, instant and synchronised notifications across devices, GIF-integration etc.. They are both great, with their own pros and cons. I’d like to explore the reverse implications of knowing that Telegram is banned. What services that include a one-to-one messenger aren’t banned? Lest we pretend those are not wiretapped? Good point. Putin's fear of private communication, protests and even blogs speaks volumes about his vile dictatorship. And yet, the idiot in your avatar that you support loves Russia, is a Putin puppet and wants us to be more like his vile dictatorship. Oh come on. I don't like Trump either (at all) but when did he ever do something that benefited Russia? Last time I checked he was threatening to attack them in Syria and risk starting WW3. The idea that Trump is in any way supportive of Russia is absurd and laughable. So is iMessage banned in Russia? As far as I remember Apple saying, the messages are end to end encrypted and nobody has the keys even Apple. Until you backup your phone via iCloud in which case your backup contains all the messages from your phone encrypted with a key that Apple can unlock. Yet Signal’s encryption is a lot better, it’s used by Edward Snowden and with Telegram being ISIS’ main communication platform it’s certainly much more under the radar of goverment agencies. Which means nothing if no one among your contacts uses it. Most of my contacts use Whatsapp unfortunately.